The geometric forms of ACS Member Vanessa Jackson’s work feature Plan Unplan, the latest of a series of exhibitions exploring the dialogue between art and architecture at the Stephen Lawrence Gallery, Greenwich. Curated by artist collective Outside Architecture, the show both explores the aspects of architectural planning of social space and works in conversation with the building itself. 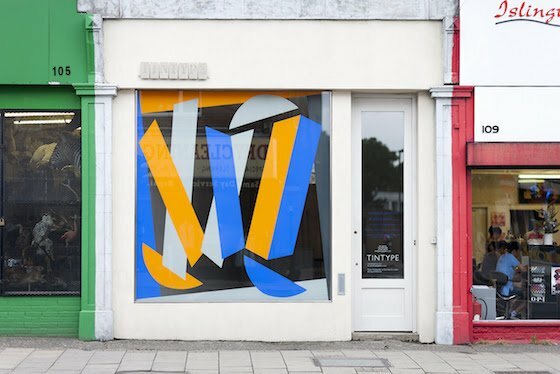 Vanessa Jackson has also been invited to undertake Tintype Gallery’s Summer Installation, which will be visible from the street during the gallery’ August closure. The preview of the artist’s new large scale work A Light Here… will also be accompanied by an exhibition of her new relief works at the gallery.